First-time freshman admission is based on a combination of class rank, grade-point average and ACT/SAT score. Northwest does not require the writing component of the ACT. The SAT score used for admission is a combination of SAT Critical Reading and SAT Mathematics scores. Students in the graduating class of 2010 and beyond are also encouraged to complete the college-preparatory curriculum. If you have taken the ACT/SAT more than once, you can benefit from the superscore. 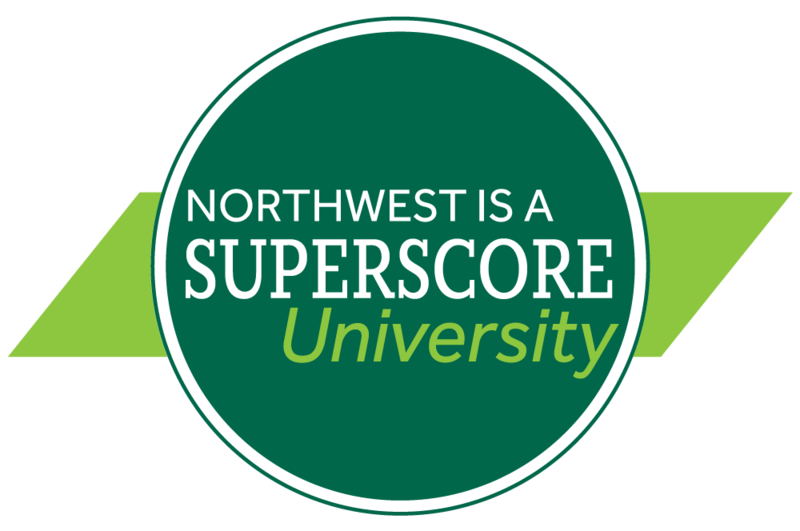 Northwest will evaluate the ACT and SAT according to your "superscore" which is a composite of your best subscores in each subject area, regardless of the test date. Be sure to send in all your test scores for consideration. Your highest subscores will be used for admissions decisions, automatic scholarships and course placement. The ASSIST Program at Northwest was designed for the first-time freshman who, after thorough and thoughtful review of academic records and transcripts, is believed to have the potential to be successful at Northwest given the proper support. Students selected for participation in this program have identified areas of weakness and must participate in this program in order to enroll as a student at Northwest.